Professor Juliet Gerrard trained at Oxford University, where she completed a First Class Honours degree in Chemistry and a DPhil in Biological Chemistry. In 1993, she was appointed as a research scientist at Crop & Food Research, where her multidisciplinary research portfolio included a substantial element of applied research in the food science area. 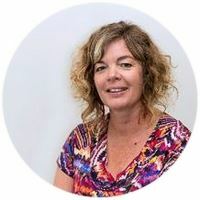 She was appointed as a Lecturer in Biochemistry at the University of Canterbury in 1998, where she became Professor and Co-Director of the Biomolecular Interaction Centre. 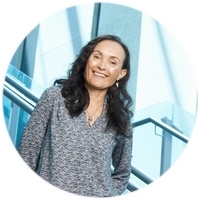 In 2014, she moved to the University of Auckland as a Professor in the School of Biological Sciences and the School of Chemical Sciences and is now the Associate Dean for Research in the Faculty of Science. 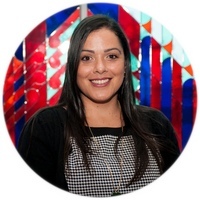 Juliet’s research has a broad base and is interdisciplinary, cutting across biochemistry, chemistry, health, agricultural and food science and biomaterial design. It also incorporates a full spectrum of fundamental and applied research, ranging from Marsden projects to research for industry, and includes collaborations in the UK, USA and Australia. From 2012-2016 she held a Callaghan Innovation Industry and Outreach Fellowship (at 50% FTE) focussed on creating an integrated research programme across Callaghan Innovation and the Universities of Canterbury and Auckland. During this time she also founded a start-up company, Hi-Aspect Ltd, which went on to receive seed funding from a private investor in 2017. Juliet has over 150 publications, as well as three books. She won a National Teaching Award for Sustained Excellence in Tertiary Teaching in 2004 and has served on FRST panels and domain reviews. She enjoyed her role as Chair of the Cellular, Molecular and Physiological Biology Marsden Panel and Deputy Chair of the Marsden Council prior to being appointed Chair in 2012. 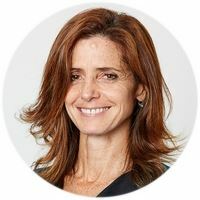 She stepped down from this role early in 2018, having overseen an increase in the fund from around $54 million to over $80 million and steered the Marsden Fund Council through the creation of the Fund’s first investment plan. Richard is a civil engineer with more than 28 years’ experience in coastal engineering, coastal process and coastal hazard risk assessments. Richard holds post graduate qualifications in the field of fluid mechanics, coastal processes and multi-hazard risk assessments. His key skills are: evaluating hydrodynamic and coastal processes; hazard assessment taking into account climate change effects; assisting clients plan for resilience; designing solutions taking into account the natural processes; and his ability to communicate complex processes to a wide range of audiences. Prior to joining Tonkin + Taylor, Richard worked for the international hydraulic and coastal specialist consultants Delft Hydraulics in the Netherlands. Within T+T Richard has continued developing within his specialist area with an increasing role in resilience and adaptation planning. 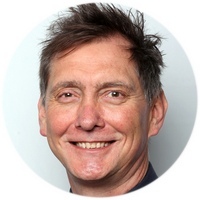 He has been responsible for regional to district scale coastal process studies, hazard and risk assessments as well as award winning coastal designs that have improved public access and amenity along the coastal edge as well as providing protection to land. Professor Jennifer Curtin is Director of the Public Policy Institute at the University of Auckland. The Public Policy Institute brings together researchers from across disciplines to create and disseminate evidence-informed, policy-relevant knowledge that speaks to policy agendas, amplifies policy impact, and grows our partnerships with governments, both local and central, as well as non-profits, communities and others engaged in policy research and evaluation in New Zealand and internationally. 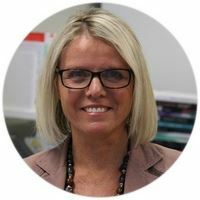 Jennifer’s own research agenda focuses on trans-Tasman policy innovations, sport, politics and policy, and gender analysis in policy making and she has published widely on these topics. She is currently engaged in funded comparative research projects aimed at developing sustainable strategies for gender budgeting and women’s wellbeing, the policy impact of women political leaders at the subnational level, and surveying citizens views on complex policy problems. 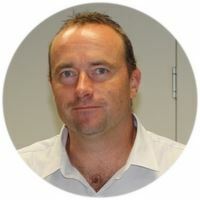 Dr John Roche is the Department Chief Science Adviser for New Zealand’s Ministry for Primary Industries, Managing Director and Principal Consultant for Down to Earth Advice Ltd, and an Honorary Academic in the School of Biological Sciences at University of Auckland. 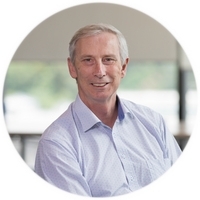 Until recently, he was Principal Scientist for Animal Science at DairyNZ; but, he has also held science appointments with the National Centre for Dairy Production Research at Moorepark in Ireland, the Department of Primary Industries in Australia, and the University of Tasmania. Dr Roche has published more than 150 peer-reviewed science journal articles and book chapters. He is a regular contributor at international science and farming conferences and has been a section editor for Journal of Dairy Science since 2012. During the last two decades, his animal science programme has focused primarily on dairy cow peripartum nutrition and the role of body condition score and energy balance on milk production, health, and reproduction. His review, Body condition score and its association with dairy cow productivity, health, and welfare, was the most cited article in the Physiology and Management section of Journal of Dairy Science in 2010-11. Dr Roche has also been involved in numerous genotype x diet comparison studies, identifying physiological reasons for differences in body condition score change and reproductive efficiency in different genetic strains of Holstein-Friesian cows. His research work in intake regulation identified diurnal patterns in the endocrine profiles of grazing dairy cows that explain observed behavioral responses to feeding. Anne’s background is in biomedical science and biotechnology. Her current research interests revolve around the use of science and evidence in policymaking, concepts of risk and precaution in relation to emerging technologies, and the changing nature of interactions between science and society. Anne has considerable expertise in synthesizing and communicating scientific evidence to inform the public and policy-makers on a broad range of topical issues. Working with Sir Peter Gluckman in his former role as the Prime Minister’s Chief Science Advisor, she led a number of high-impact projects involving close collaboration with leading scientific and policy experts both within New Zealand and internationally. She has also served as Commissioning Editor for a number of international peer-reviewed scientific journals spanning multiple disciplines. In this role, she helped identify emerging lines of scientific enquiry and facilitated the quality assurance of publications through robust peer review. Matthew is a New Zealand and Australian registered patent attorney, practicing in the field since 2005. He has experience at a tier-one Australasian intellectual property firm advising several of New Zealand's largest export manufacturers. Matthew specialises in protecting, registering and licensing intellectual property in the electrical engineering, physics and ICT technology fields. Matthew has personally developed and taken to market a number of electronics and software technologies. As well as standing out as a patent attorney with a strong technical aptitude, Matthew is well placed to provide intellectual property advice drawing upon commercialisation experience. Matthew is experienced in advising corporations, universities, start-up ventures and individuals throughout New Zealand and offshore. 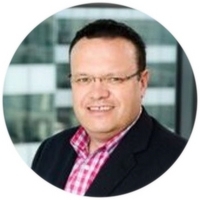 Reece has more than 20 years’ experience in Māori Development and has an extensive knowledge of the innovation and business development eco-system. Reece is the Manager Programme Office and Strategic Relationships for the Science for Technological Innovation – National Science Challenge. Reece was the inaugural Te Tumu Whakarae/Executive Director of the Māori Economic Development Unit of the Ministry of Business, Innovation and Employment. 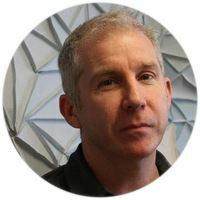 Prior to this role, Reece held senior strategic and operational roles in Māori development in Callaghan Innovation, the Crown Research Institute – Industrial Research Ltd, the Ministry of Science & Innovation and the Foundation for Research, Science and Technology. Reece was also Senior Manager Iwi/Māori Partnerships at the Ministry of Education. 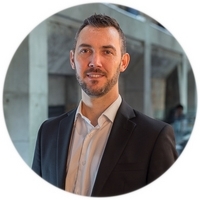 In the private sector, Reece worked for Telecom (now Spark) in corporate sales, events and sponsorship and has run his own consultancy business.